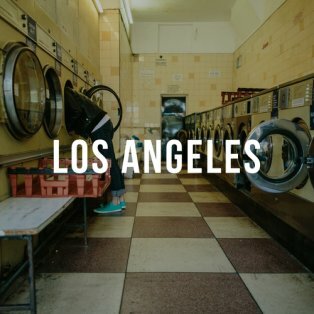 We are looking for photos of Los Angeles, CA, and calling out to all of you that know and love this city. We are looking for your best images that highlight the culture, landmarks, lifestyle, and well-known gems of this destination city. Whether you submit images you've captured on a vacation to Los Angeles or images you’ve shot as well-established residents, we want you to show us and make us feel at home. Pilgramers is a creative project to tell visually compelling stories of thriving creative communities—the lessons they have learned, the risks and rewards of collaboration, and anything remarkable we find on our journey. Los Angeles is one of 12 cities hosting 12 events that facilitate collaboration among local creatives. This iconic city has a feel and atmosphere all its own, but little imagery exists which focuses on Los Angeles' creative community. You are invited to join us on Tuesday, July 21st at Daily Dose Cafe (1820 Industrial St.) at 6pm. This coffee meet-up and Instameet will consist of a diverse group of creatives (photographers, filmmakers, artists, designers, musicians, editors, etc.) sharing their hobbies, passion projects, and ways we can collaborate together. Invite your friends! 3 years ago - Honored to be among the nominees. Thanks! 3 years ago - For sure submitting! 3 years ago - Thank you for the nomination! Just returned from Montana a few hours ago so will not be able to make the meeting.